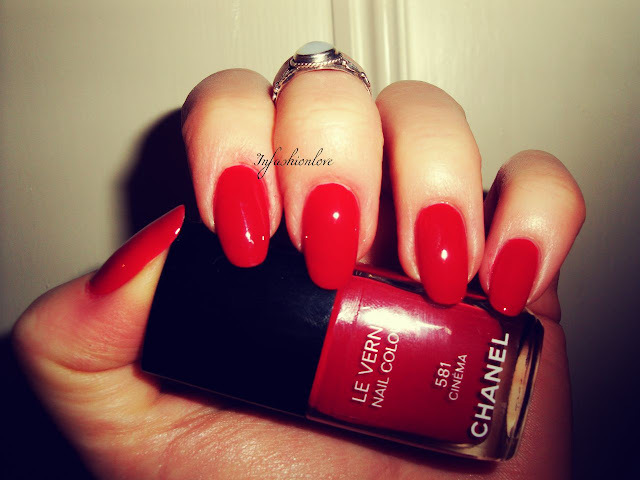 INFASHIONLOVE.COM: Chanel Nail Colour in 581 Cinema: Avant-Premiere Collection! 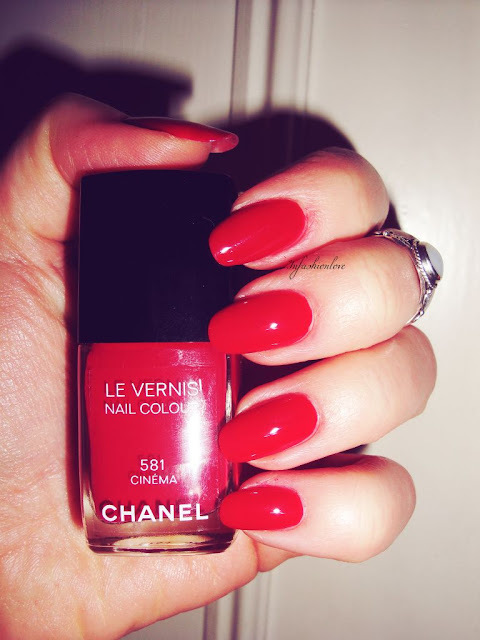 Chanel Nail Colour in 581 Cinema: Avant-Premiere Collection! 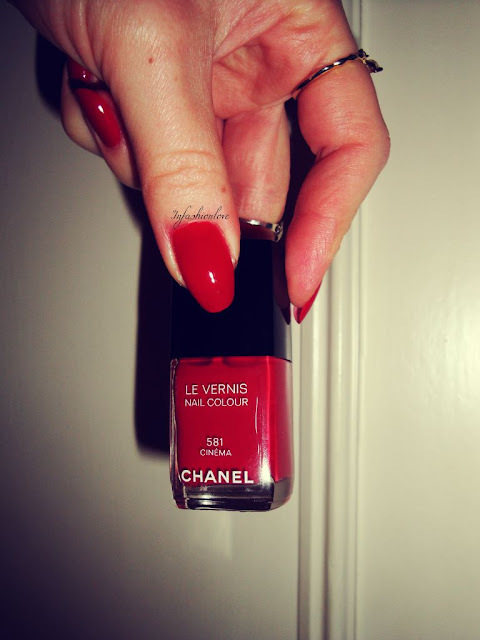 As featured in my previous blogpost here is the beautiful Chanel Nail Colour in 581 Cinema! It's from the new Avant-Premiere Collection that launched earlier this month. The collection was inspired by the glamour in the 50s films, which is really close to my heart as I studied film and wrote my dissertation on the 50s film era! There is just something so decadent and glamorous about the fashion and make-up the actresses wore in the 50s. And so does this collection represent the shades of true femininity and glamour! Cinema is a beautiful vintage warm-tone red. This collection has another three shades of the Nail Colour two of which are also new shades: Starlet [peachy pink with fine shimmer], Paparazzi [rosy plum with a gold sheen], and Provocation is a re-release from last year's Fashion's Night Out Collection [creamy plum].